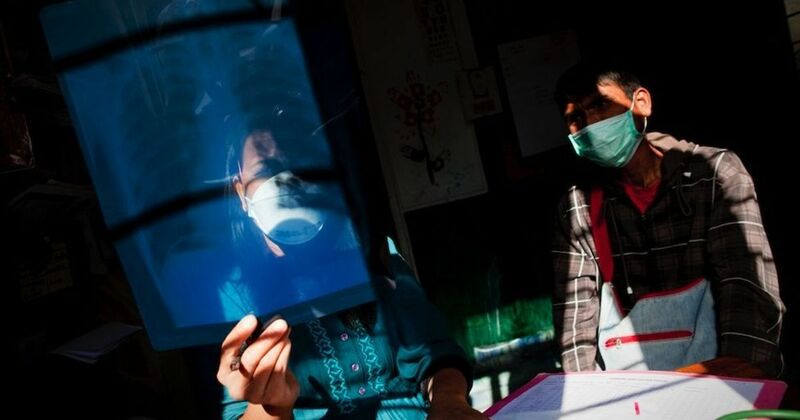 Patients whose diagnosis for MDR-TB is delayed drop out of the tuberculosis control programme or die waiting for help. Six months after she started treatment for multi drug resistant tuberculosis, Nirupa vomited blood. The 28-year-old resident of Asodha village in Hapur district of Uttar Pradesh had been suffering from tuberculosis for more than a year. Nirupa called the tuberculosis officer Manoj Kumar who was coordinating her treatment, and told him that she was not getting better despite taking. “You are responsible if I die,” she said to him. 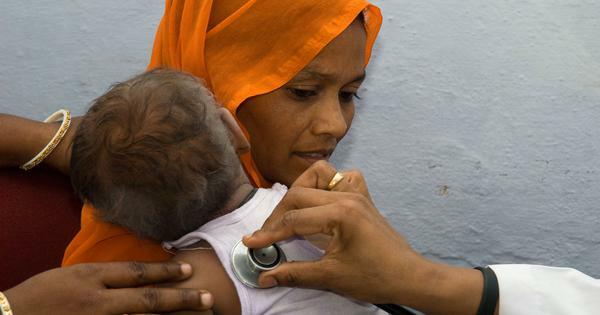 Forty percent of all people who develop multi drug-resistant tuberculosis or MDR-TB die. For patients with extremely drug-resistant tuberculosis, the mortality rate is even higher at 60%. In 2013, Nirupa failed the first line of tuberculosis treatment that lasted six months. Despite taking her medicines regularly, she did not recover. In March 2014, she was detected with MDR-TB. “Bukhar choot nahi raha tha,” said Nirupa. “The fever would not go away.” The homemaker whose fever and illness kept her bedridden for more than a year worried about her two children – a seven-year-old daughter and a five-year-old son. Nirupa’s test for drug resistant tuberculosis was performed at Meerut’s Subharti’s Medical College where doctors conducted a line probe assay test that shows resistance against the two drugs rifampicin and isoniazid. Six months later her sputum still showed the presence of bacteria. This indicated that her treatment was not working well, and she was still infectious. Kumar, the tuberculosis officer in charge of Nirupa’s case is also the drug-resistant tuberculosis co-ordinator at Hapur district. He sent her fresh sputum samples to Jalma Institute for Leprosy and other Mycobacterial Diseases in Agra, where clinicians conducted a culture and drug susceptibility test by growing cultures of the bacteria found in sputum and testing the cultures for resistance. The reports showed that Nirupa was resistant to one more drug called levofloxacin. The doctors changed her medicines again, replacing levofloxacin with a drug called moxyfloxin. Within a month, Nirupa started feeling better and has now been declared cured. But she need not have suffered for so long. Patients like Nirupa suffer due to a gaping hole in India’s Revised Tuberculosis Control Programme. The programme does not offer a culture test to patients who have not been diagnosed with multi drug-resistant tuberculosis. Two rapid molecular tests for tuberculosis available now are the line probe assay and the cartridge based nucleic acid amplification test or CB-NAAT. Both these tests provide quick results. While CB-NAAT has a turn around time of about two hours, line probe assay can give results in two days. The more comprehensive culture tests can take between one and two months to process as the tuberculosis bacteria grow notoriously slowly. CB-NAAT detects the mycobacteria and also tests for resistance against the first line treatment drug rifampicin. Patients who test positive for rifampicin resistance are presumed to also have isoniazid resistance. Line probe assay tests for resistance both drugs. CB-NAAT machines have been available at district level centres since last year. There are more than 735 machines in the country so far. However, detecting resistance in each patient offers throws up different problems. For instance, there are patients like Nirupa who may be resistant to other drugs too. So ideally, testing for MDR-TB should include testing for a wider range of drugs other than just rifampicin and isoniazid. The lack of such testing results in patients being treated with drugs that they are already resistant to and they will continue suffer and remain infectious. Doctors and activists feel that each patient needs a treatment protocol designed for his or her resistance profile. “It is against human rights for people to be treated with drugs that are not working on them,” said Blessina Kumar, chairperson of the Global Coalition of TB Activists. What is also important to note is that the tuberculosis control programme is not robust enough to follow up with all patients. Nirupa was one of the few lucky ones. One state usually has just one officer and one counsellor to coordinate between treatment for cases of drug-resistant tuberculosis. While CB-NAAT works as a good tool to detect tuberculosis bacteria, it is not as good a tool to detect MDR-TB, say experts. A study conducted by Dr Sarman Singh, the head of clinical microbiology and molecular medicine at the All India Institute of Medical Sciences in Delhi showed that CB-NAAT threw up only 64% correct positive results compared to a some culture tests. Another paper published in 2014 in the International Journal of Mycobacteriology found that the molecular tests are at best “screening tools”. Even the World Health Organisation endorses CB-NAAT as a proxy or screening test and says that culture and conventional drug susceptibility testing against second-line anti-tuberculosis drugs are still necessary to confirm or exclude extreme drug-resistant tuberculosis or XDR-TB and to monitor responses to MDR-TB treatment, the WHO stated in thisdocument. Former head of the Indian Council of Medical Research VM Katoch and others have found that the extensive use of CB-NAAT for suspected MDR-TB cases results in other lapses. If a strain of tuberculosis is rifampicin-resistant, doctors using CB-NAAT assume that it is also isoniazid-resistant, when isoniazid may still work on the patient. Katoch concludes that culture tests are better even if they take longer. The draft National Strategic Plan for TB Elimination 2017-2025 offers CB-NAAT to every patient who test positive for tuberculosis. However, it does not offer culture tests that can test for drug resistance to all tuberculosis drugs. The programme plans to do this in a phased manner. “The culture and drug susceptibility test should be available at district level, if not sub-district level,” said Dr Ramya Ananthakrishnan, executive director of the REACH foundation in Chennai that works on tuberculosis advocacy across the country. While the government programme continues to fumble through testing for MDR-TB, it is running the risk of having patients drop out of the programme that can save their lives. A doctor working in a public hospital in Mumbai said that patients who are not diagnosed properly often die during treatment.